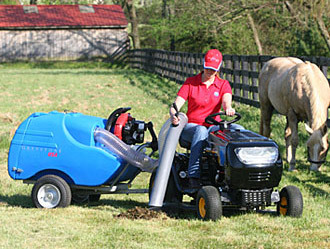 PASTURE VACUUMS ON SALE NOW WITH FREE SHIPPING! Vacs on Sale Now PLUS FREE Shipping on BOTH the Maxi Vac and Paddock Vacs! Paddock Vacs - $2,990.00 plus FREE shipping special. This equates to 960.00+ savings! Maxi Vacs - $3,990.00 -plus FREE shipping special. This equates to a $1,110.00 + savings! Limited Time Offer, Order Now!! Only FOUR of each model will be sold at this price during the month of April! Welcome to Pasture Vacuums and Greystone Florida, an approved dealer for the internationally recognized leader in manure vacuums. We specialize in distribution of revolutionary equine products that provide quality and easy to use equipment to maintain your horse and alpaca property. With the Greystone Maxi Vac and Paddock Vac , maintaining a well groomed and healthy environment for you and your animals has never been easier - or more affordable. A horse weighing 1000 lbs produces an average of 9 tons of manure every year! 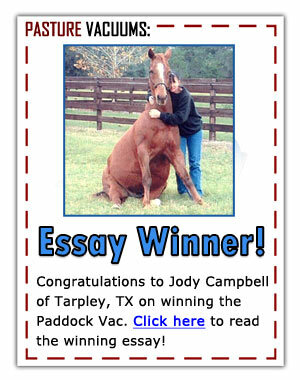 Pasture Vacuums are not only a luxury to horse owners, they are a necessity! Whether you have three horses or thirty horses, a Pasture Vacuum will greatly reduce the risk of accumulative manure buildup in your pasture or paddock. When you think about the toll 54,000 pounds of horse manure will take on your lush green pasture each year (figured for only three horses), the benefits of owning a Pasture Vacuum are countless! Now Offering the Greystone Arena Rake and the Arena Rake Pro!! 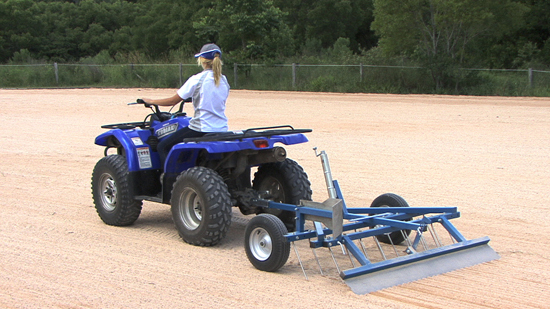 Click here for Product info and Frequently Asked Questions for the Arena Rake and Arena Rake Pro. Click here to Order the Arena Rake or the Arena Rake Pro! Arena Rake Pro w/Pro Blade included - $2,790.00 with FREE shipping! Standard 5 Ft. Arena Rake w/Pro Blade included - $2,190.00 with FREE shipping! Good through the month of April! Now offering Honda 4 stroke engines on all Vac models. That means no more mixing fuel, lower noise levels, lower emissions with a two year warranty and Honda reliability. Greystone Maxi and Paddock Vacs - Managing horse manure the easy way! Owning a Pasture Vacuum is a valuable asset to homeowners, horse boarding stables, breeders and farms. The time and money a Pasture Vacuum will save you on horse fly control, horse cleaning solutions, pasture seed, labor, etc., is limitless. Pasture Vacuums are designed to keep your pastures cleaner for years to come by offering a quality product that will allow you to efficiently clean and maintain your pasture creating a safe environment for your horses. Additionally, Pasture Vacuums greatly reduce the amount of horse manure bacteria in your pastures by eliminating manure from the pasture and providing an easy solution for horse manure disposal. Pasture Vacuums are designed to pick up a wide range of debris including both wet and dry substances without loosing suction. PastureVacuums.com strives to provide superior customer service and we have staff members available to help you with your purchase and answer any questions about our revolutionary Pasture Vacuums.